When the children were young, I stayed home and was a licensed day care provider. We needed the money and I felt that this would be good for our children and also for the children who would come into our home. I made sure that any prospective parents knew that their children would hear the name of Jesus in our home. I told them that we prayed and I read Bible stories to the children. Most of the parents had no problem with this – some did, so it worked out for everyone. When our children entered elementary school, I had talks with them about things they might learn in school – things that didn’t match what we read in our Bible. I told them that the Bible was Absolute truth, so if they heard something which contradicted it, then they should always believe the Bible. I knew that as the children got older, they would learn the lie of EVILution. We would talk about how ridiculous it was to say we come from monkeys. We would read the Creation story in Genesis together. One day after I had helped in one of the children’s classes, I went into the school library and began snooping around a bit. Well, it was my children’s school, and we paid our taxes to keep these schools running. I came across a section where there were many books on witchcraft and how to cast spells. I was shocked and angered. I challenged the school board about keeping these books. Thankfully, they did pull these books out of all schools in our county. One late November, the school sent a memo home, asking if there were any parents who would like to share the “spirit” of their holiday. I knew exactly what they were up to. They were expecting people who were not Christians – possibly Muslims, Jewish people, etc. I filled the paper out and said that I wanted to present Christmas from a “Christian” (not secular) perspective. I used to sing, so I told them that I would be singing sacred carols with the children and that I’d bring my Nativity set with me. I’m certain that I set their teeth on edge, but I didn’t care. Fair was fair. I knew that they would be watching me like a hawk. I turned back to the kids and said to them “Oh, that’s ok – I know this story by heart!” So I told the children about the coming of our Lord and how the angels alerted shepherds that the Savior of the world was to be born. The children were mesmerized. Afterward, I handed out candy canes. I know that the principal and the teachers were very pleased when I left. If I had known how the enemy of our souls had staged the college experience to belittle and mock Christian students, mostly through the professors; I would have done everything in my power to keep our children from attending. I always wonder if we had insisted that they go to Christian colleges – perhaps they would not have fallen away. Some Christians have told me that some of the Christian schools have liberal professors as well. But it’s hard to believe that it would have been as bad. This interview was done over 30 years ago. The things this man says will shock you. Why? Because he is right on the money as to what has happened in America. He says it only takes about 15 years to demoralize a nation because that is the number of years that children have gone through schooling. And we know that our schools and the NEA are immersed in Marxist/socialist ideology. Also, the U.N. has had their NWO agenda forced upon our children with “Common Core” curriculum. Our youngest son was talking to me one day about a book he was reading in college. I don’t remember the name of it, but I know that it had a very strong impact on my son. He told me that patriotism was bad and caused many problems in the world. I told him that was hogwash and that I loved America. I told him that patriotism was a good thing. He would have none of it. The indoctrination had begun. “Be sober, be vigilant; because your adversary the devil walks about like a roaring lion, seeking whom he may devour. Resist him, steadfast in the faith, knowing that the same sufferings are experienced by your brotherhood in the world” (1 Peter 5: 8-9). If I could give one piece of advice to parents whose children are going away to college, it would be this: Talk to them about what they will be up against. Tell them the importance of praying every day before their classes for the Lord to strengthen them. Stress to them the importance of immersing themselves in the Word and trying to find other believers with whom they can fellowship. I know that we are all so weary from being in this world. I hope and pray that Jesus comes back soon for us. “For this we say to you by the word of the Lord, that we who are alive and remain until the coming of the Lord will by no means precede those who are asleep. 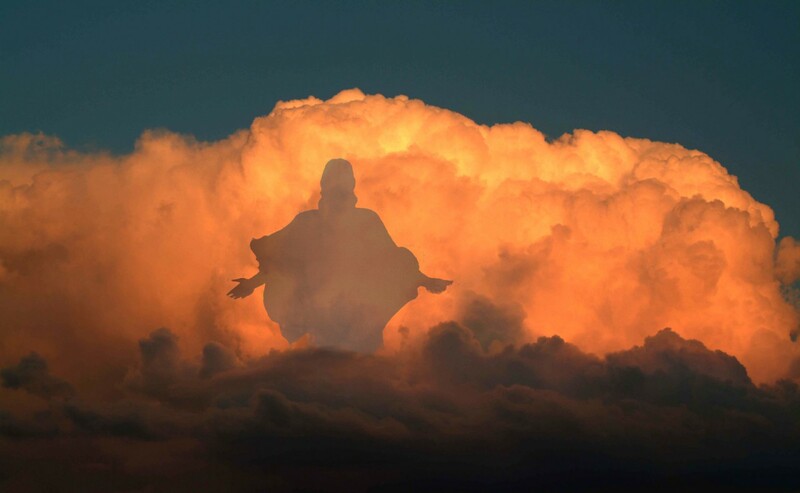 For the Lord Himself will descend from heaven with a shout, with the voice of an archangel, and with the trumpet of God. And the dead in Christ will rise first. Then we who are alive and remain shall be caught up together with them in the clouds to meet the Lord in the air. And thus we shall always be with the Lord. Therefore comfort one another with these words” (1 Thessalonians 4:13-18).